In a story that moved very quickly today, Tony Romo will retire from the NFL and become a TV analyst. It was first reported by ESPN’s Adam Schefter that Romo will end his playing career and go to TV. And just hours later, John Ourand of Sports Business Journal cited sources saying that Romo will join CBS as its main NFL analyst joining Jim Nantz on the network’s “A” team. 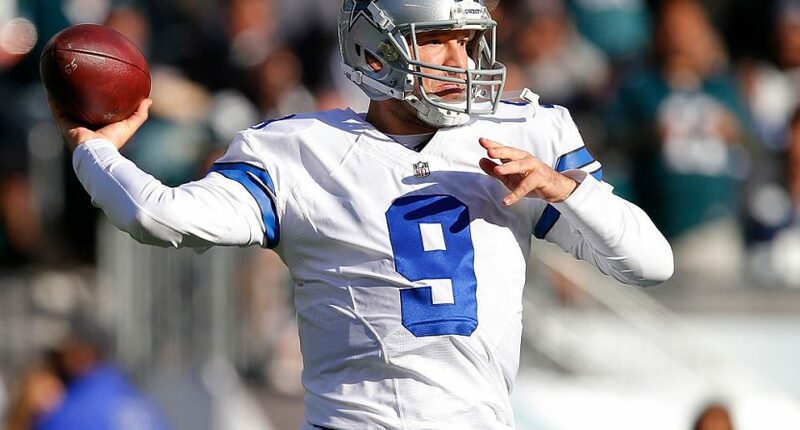 No contract has been signed, but there is a verbal agreement between CBS and Romo. No word if Simms will be demoted to CBS’ “B” analyst or will be dropped altogether, but this will certainly please his critics, who have been very vocal about his analysis. According to Ourand, CBS was able to outbid Fox for Romo. Fox had wanted Romo to be on its “B” team to replace John Lynch, who became General Manager for the San Francisco 49ers. But Romo who wanted to be the top analyst right off the bat, and was concerned that Troy Aikman wasn’t likely to leave Fox. Ourand also says Romo doesn’t want to call both Sunday afternoon and the Thursday Night Football package right away, as that will be a lot to handle, especially for a broadcasting neophyte. A source says that Romo, a broadcasting neophyte, does not want to call both “TNF” and CBS’ national Sunday game right off the bat. However, the NFL wants CBS or NBC to have its top broadcasting team to call TNF. Last year, the NFL turned down NBC’s plans to have Mike Tirico to call TNF to give Al Michaels a break. NBC managed to find a way to get Tirico on TNF by giving Michaels a “bye” week. One way to handle the situation would perhaps be giving Romo some Sundays off in the first half of the season while still calling Thursday Night Football. But who would call Sunday afternoon games if Romo is given them off? Would it be Simms? Would CBS bring up Dan Fouts from the current “B” team? These are questions that have to be resolved before the season begins. But for now, the main takeaway is that Phil Simms will no longer be the top analyst on the NFL on CBS, and that Tony Romo will retire from the NFL and replace him. And there are some questions that have to be answered as CBS transitions to a new era on its NFL package. If you were wondering, CBS has the Cowboys Thanksgiving game this coming season. For a network that prides itself on consistency, this will certainly bring some upheaval to the NFL on CBS.